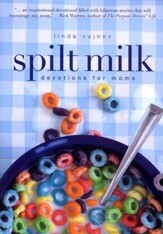 In this book for mothers, Dr. Meeker reveals the 10 most positive and impactful habits of healthy, happy mothers. By implementing her key strategies, you can be happy and hopeful while teaching your children to be the best they can be. 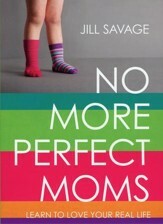 You don't have to succumb to the pressure of perfection to be a good mother. Lighten your load and try some of the wellness tips and exercises included in the book. Paperback. This sanity-saving guide "offers practical ways to help you let go of mom guilt in order to become a happier, healthier woman" (Parent & Child). Now with wellness tips and exercises! The pressure on women today has pushed many American mothers to the breaking point. It feels as if "doing your best" is never enough to please everyone, and the demands mothers place on themselves are both impossible and unrealistic. Now Meg Meeker, M.D., critically acclaimed author of Strong Fathers, Strong Daughters, puts her twenty-five years experience as a practicing pediatrician and counselor into a sound, sane approach to reshaping the frustrating, exhausting lives of so many moms. Mothers, its time to view the unconditional trust that you see in your childrens eyes when they take your hand or find your face in a crowd as a mirror of your own wonder and worth. You are the light that shines in their lives, the beacon that guides them. By implementing the key strategies in Dr. Meekers book, you can be happy, hopeful, and a wonderful role model. You can teach your children to be the very best they can beand isnt that still the most precious reward of motherhood? 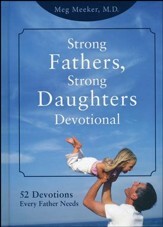 Meg Meeker, M.D., is the author of Strong Fathers, Strong Daughters and Boys Should Be Boys. She has been a physician practicing pediatric and adolescent medicine, working with children and their parents, for twenty-five years. Dr. Meeker is the mother of four children, and lives with her husband in northern Michigan. 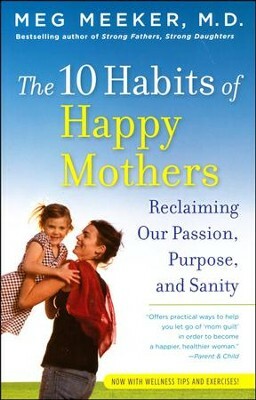 I'm the author/artist and I want to review The 10 Habits of Happy Mothers: Reclaiming Our Passion, Purpose, and Sanity.